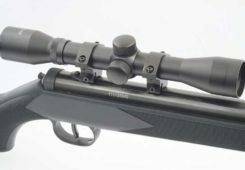 The SIGAIR ASP20 air rifle is now shipping and one has arrived here at the HAM offices for its test review. 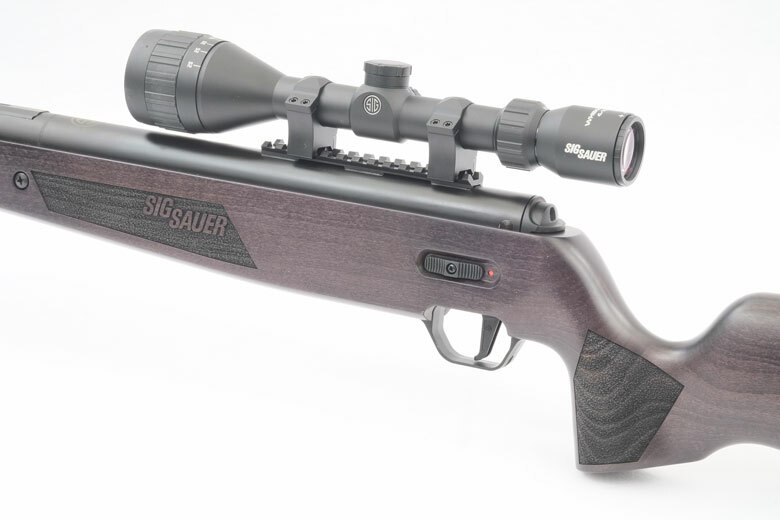 Today, we’ll take a first look at this much-anticipated new air rifle. The full HAM review will becoming soon! 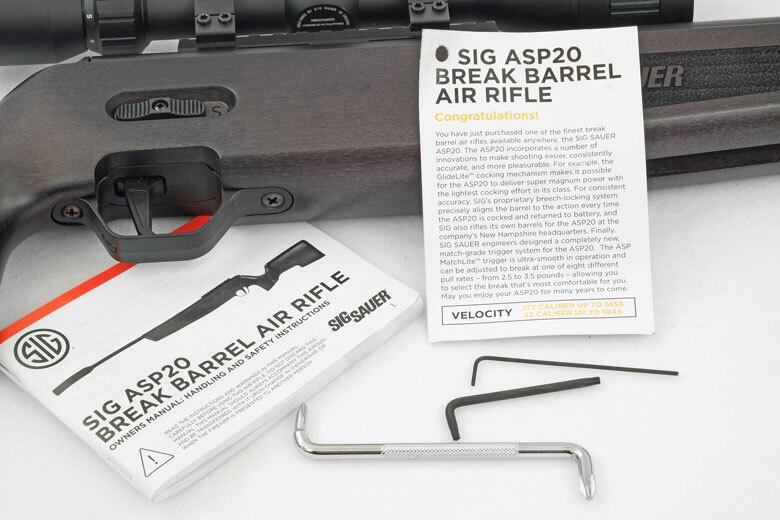 As you take the SIGAIR ASP20 air rifle from its shipping carton, you’ll find the gun packed in a substantial corrugated box with an attractive external sleeve that confirms the product configuration. 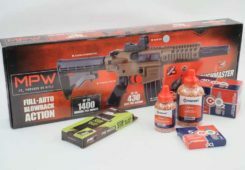 Opening the box proves that SIGAIR has spent time, effort and money on the packaging. That’s really important to ensure that your new air rifle arrives in perfect condition – in spite of whatever the parcel delivery company may do to it en route! As we can see below, the SIGAIR ASP20 is carefully packaged in a high quality foam cutout. There’s more foam under the top lid, too. 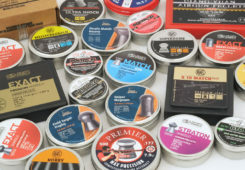 This quality of packaging is very impressive and it’s part of a clear trend among some airgun manufacturers to provide improved packaging for their products. 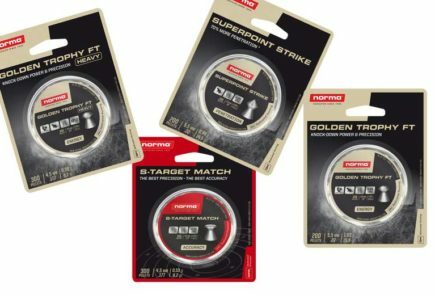 It’s waaay better than the minimal packaging protection provided by many other manufacturers. 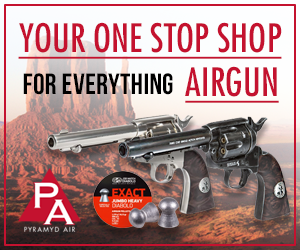 Of course, receiving a new gun in perfect condition benefits both the customer and the manufacturer. No-one wants to receive a damaged product or to experience the hassle that causes. Full marks to SIG! Also included with the SIGAIR ASP20 is a hangtag with essential safety information and a comprehensive owner’s manual. In addition, there’s a screwdriver and Allen wrench for trigger adjustment. 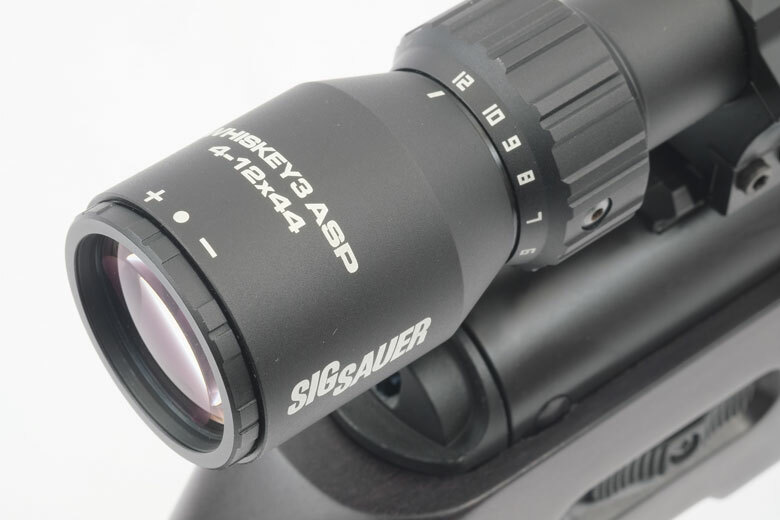 Because this gun was bundled with the SIG Whiskey3 ASP 4-12×44 scope, there’s also a Torx wrench for the scope ring screws. 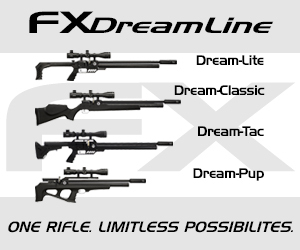 (Note that most of the currently-shipping guns do not include the bundled scope). 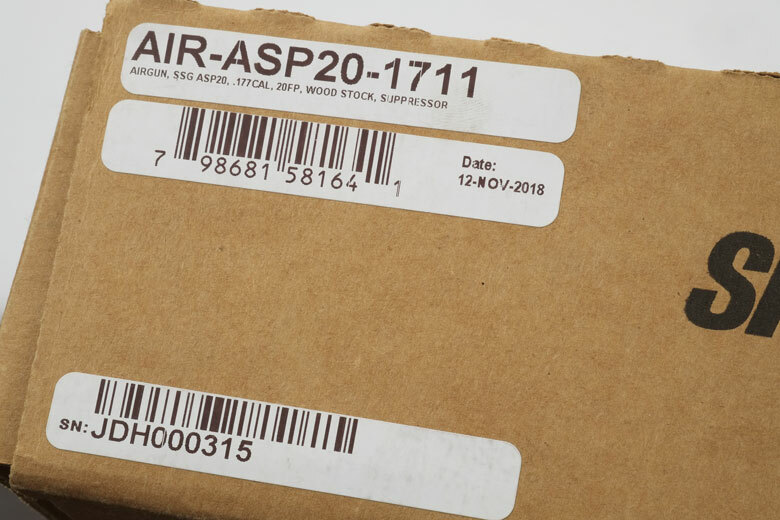 On the end of the box, SIG includes the manufacturing date of the SIGAIR ASP20 – 12 November 2018, in this case. 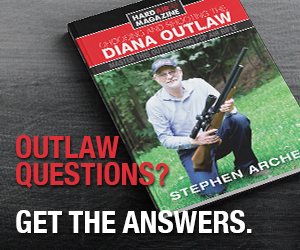 A separate sticker indicates the gun’s serial number. 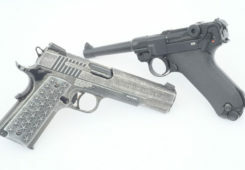 Serial numbers for the SIGAIR ASP20 all begin with the initials JDH. This unusual prefix is a memorial to Justin Daniel Heckert, one of the gun’s key design engineers. Sadly, Justin died suddenly before the SIGAIR ASP20 entered production. 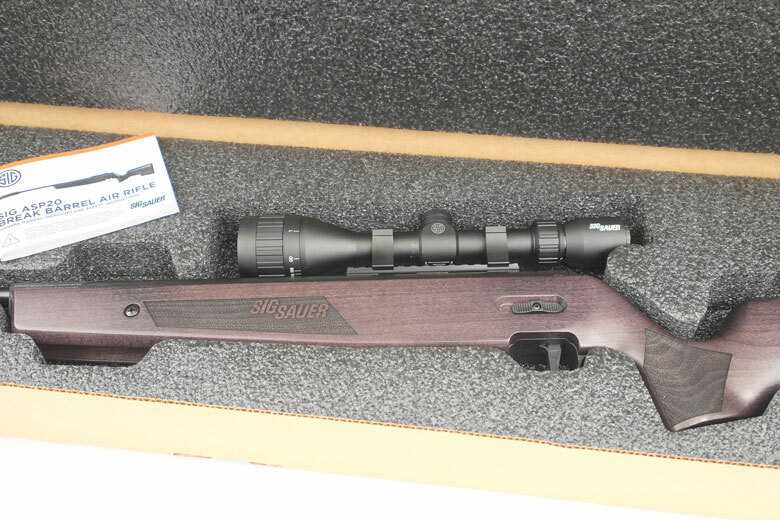 Serial number one of the SIGAIR ASP20 was presented to Justin’s family as a mark of respect by the company. 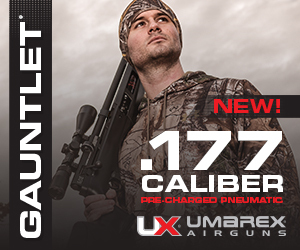 As you can see, the HAM test SIGAIR ASP20 is in .177 caliber. 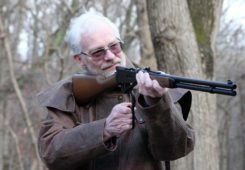 It has the wood stock and Whiskey3 ASP riflescope. 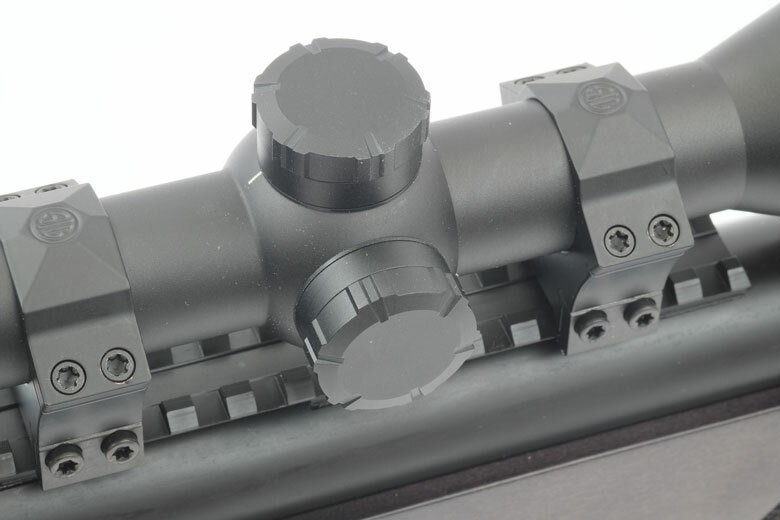 The Whiskey3 ASP scope has been designed to operate with a pellet drop compensation elevation turret. 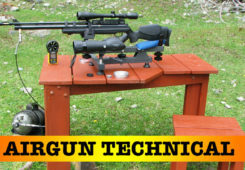 This works exactly like the BDC scope turrets which are increasingly popular in firearms use. 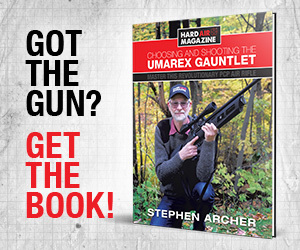 The scope is calibrated by first zeroing at a set range – say 30 yards. The turret is then set to that zero range. Elevation changes are then made based on the distance to any specific target. These graduations can be seen in the photograph below. (Note how there is a larger rotational angle between the 70 and 60-yard markers and the 50 – 60 yard ones). 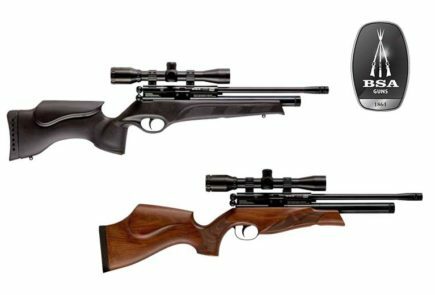 Of course, to work correctly, the pellet drop compensation turret needs to be graduated to the specific combination of airgun and pellet being used. 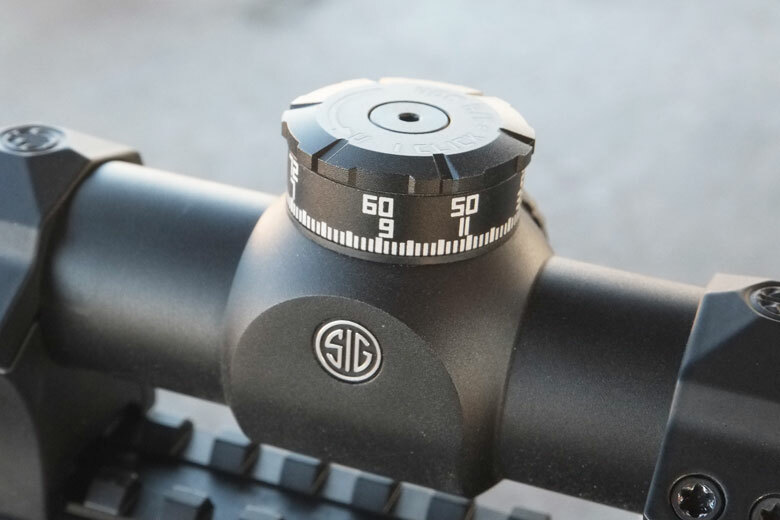 Currently, SIGAIR ASP20 air rifles shipping in .22 caliber have the SBT compensation turret installed. 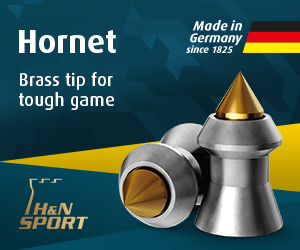 However, .177 guns – like the HAM test example – have a plain elevation turret. SBT turrets for .177 cal will be available in future. 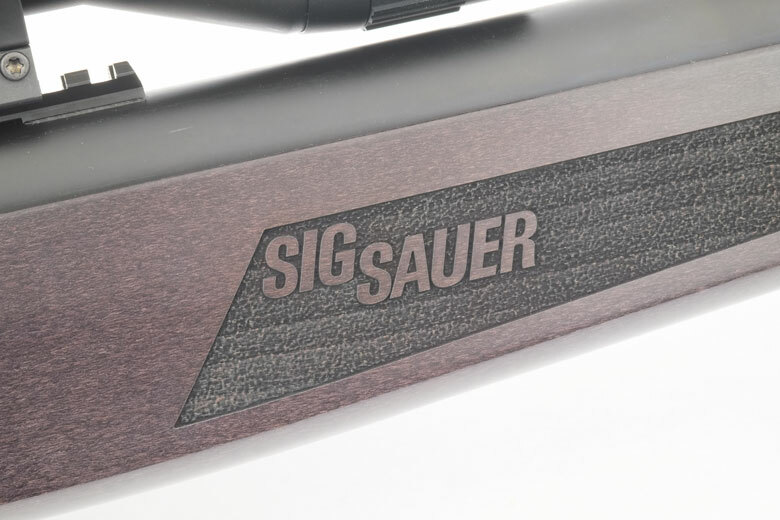 SIG is also keen to educate airgunners in the benefits of rating airguns by Muzzle Energy, rather than Muzzle Velocity. 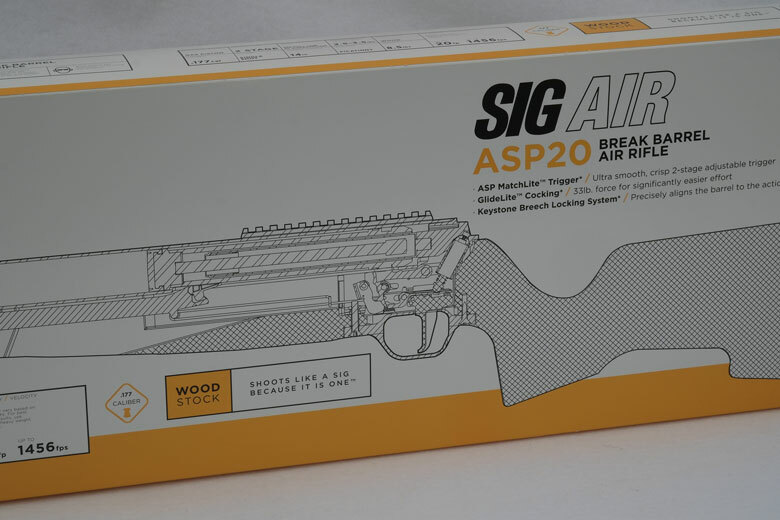 The side of the SIGAIR ASP20 packaging sleeve gives a graphic and explanation of this. Again, this is an excellent initiative from SIGAIR. 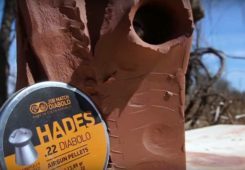 It emphasizes that SIG is trying really hard to do things right in the airgun field, rather than playing the “lowest price/highest FPS” game. 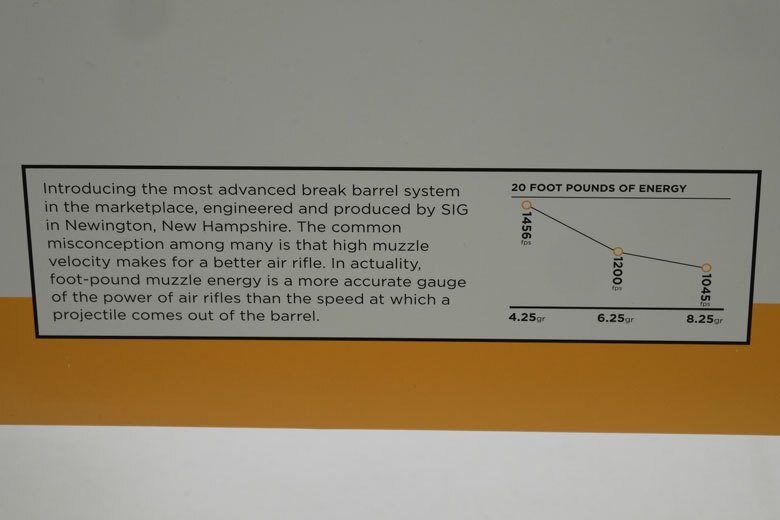 Of course, the “20” in ASP20 indicates the Muzzle Energy. It’s 20 Ft/Lbs!